This is the scariest strip I’ve seen this month! I love the “Floss or be Flossed” poster! 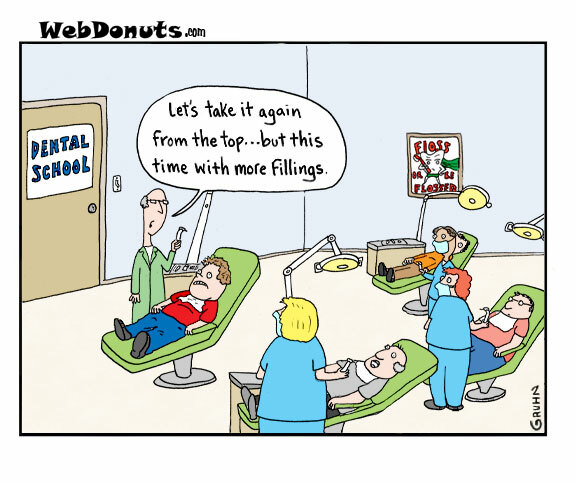 Fillings make the dentists’ world go round. Fiiiilings, nothing more than fiiiilings.. Remember your drill and don’t bump into the furniture.